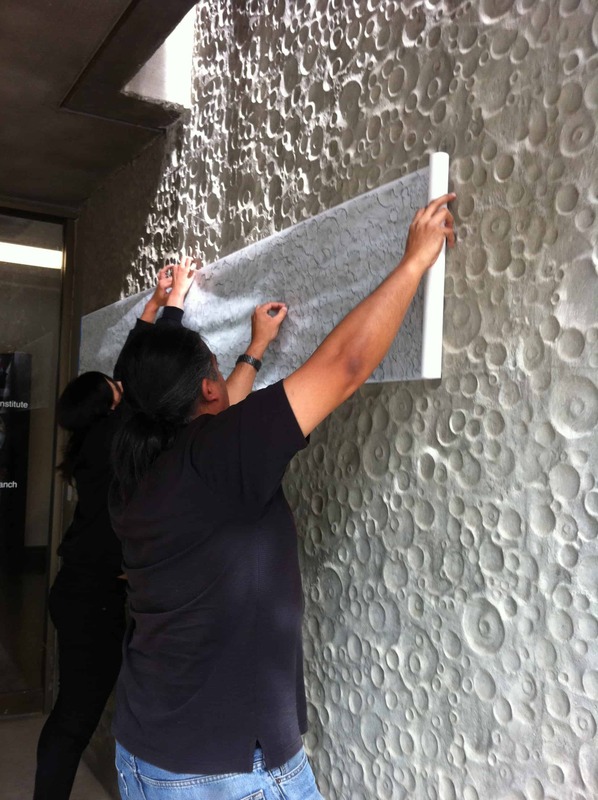 COSMOS CODEX was a commissioned, site-specific work by artist Vargas-Suarez UNIVERSAL. 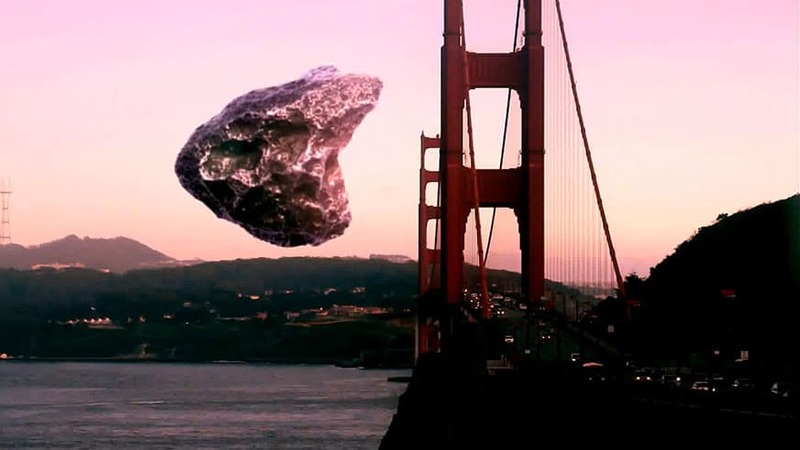 This is MACLA’s first art exhibition dedicated to the relationship between art, astronomy and space research, the artist’s first solo show in California and the first time he has publicly exhibited sculptural objects. Vargas-Suarez UNIVERSAL (VSU) is primarily known for large-scale murals, paintings, drawings, and sound recordings. 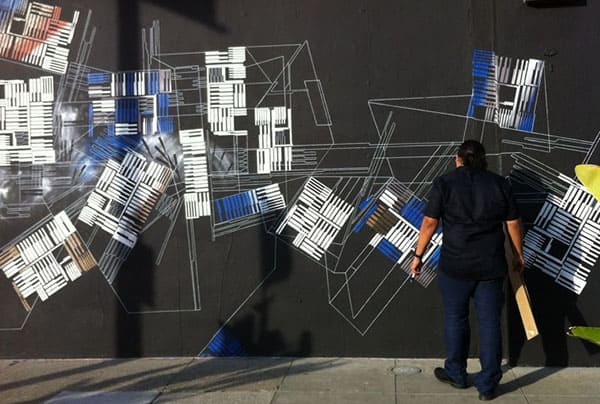 He sources American and Russian spaceflight programs, astronomy, and aerospace architecture to create commissioned, studio-based and public artworks for museums, galleries, private and public spaces. 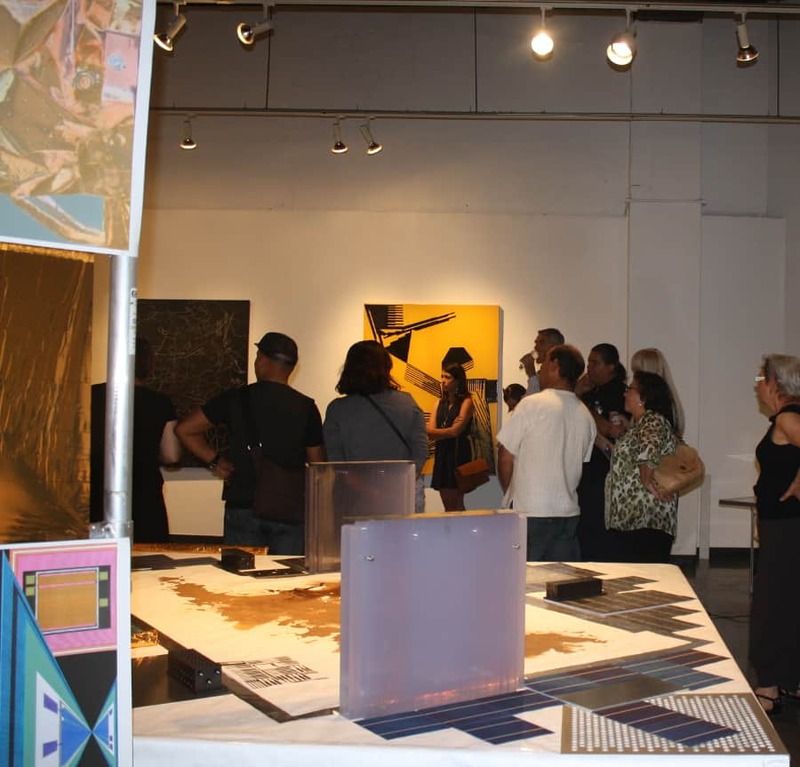 A major aspect of the exhibition was VSU’s dialogue with scientists and other subject matter experts at the NASA Ames Research Center to gather information directly informing the artworks in the exhibition. Vargas-Suarez explores concepts for retrieving materials from Mars, asteroids and other orbiting bodies in our solar system with the intention of allowing artists, architects and designers access to these materials to expand and explore possibilities not available to them with traditional materials available here on Earth. The exhibition installation in MACLA’s gallery wasset up as a mock “clean room,” or spacecraft processing facility, typically found at NASA operations centers. The installation includes hand-intervened new digital prints, murals, paintings, sculptural objects, and a video produced in collaboration with artist Barbora Bereznakova. The exhibit was curated by Mónica Ramírez-Montagut, the Senior Curator and Associate Director at MACLA.